Prince Henry’s is proud of its long tradition for fundraising and supporting a wide range of charitable organisations and the main focus for this is PHHS Interact which, supported by Evesham Rotary Club, involves students across all year groups. 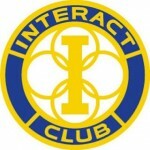 Please see the Interact News page for more details of recent fundraising activities. 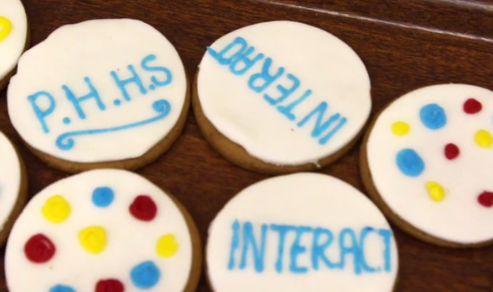 Now in its sixth year, PHHS Interact goes from strength to strength. During the 2017-18 academic year our enthusiastic Interact members raised over £3,300 – a remarkable amount. They were able to make donations to a variety of charities including Macmillan, Sport Relief, Just4Children for Tonia’s Journey, and Maggie’s, a charity based in Cheltenham which provides free practical, emotional and social support to people with cancer and their family and friends. Events were also organised to support and donate to Children in Need and the Royal British Legion. Already this year more than £2,100 has been raised. Students have organised a Macmillan coffee morning, fundraising for Children in Need, our annual shoe box appeal and the annual Drop the Mic music competition which took place in the Arts Theatre on 7th December. In addition, the proceeds from a non-uniform day in November were allocated to our overseas project. For 2018-19 the general proceeds which are not designated to other specific charities will be divided between our chosen charities – Young Minds, a mental health charity which provides support to young people, and Dementia UK. Our international project for this year seeks to raise funds to build a toilet block for a school in Sri Lanka. None of this would be possible without the hard work and commitment of our Interact members, but I must also thank all the students and members of staff who so enthusiastically support the fund raising efforts throughout the school. In particular, special thanks must be given to Mrs Taylor and Miss Catchpole who work behind the scenes to support Interact.